The Texas Rangers traded reliever Luke Jackson to the Atlanta Braves this week for a pair of pitching prospects. The Rangers received southpaw Brady Feigl and right-hander Tyrell Jenkins in exchange for Jackson. Jackson was the Rangers No. 15 prospect, according to MLBPipeline.com. 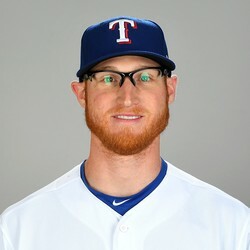 The 25-year old made 15 major league appearances over the past two seasons for the Rangers. Jenkins was 2-4 with a 5.88 ERA in 14 games at the major league level last year. He has been placed the the team's 40-man roster. Feigl has been assigned to Double-A Frisco.